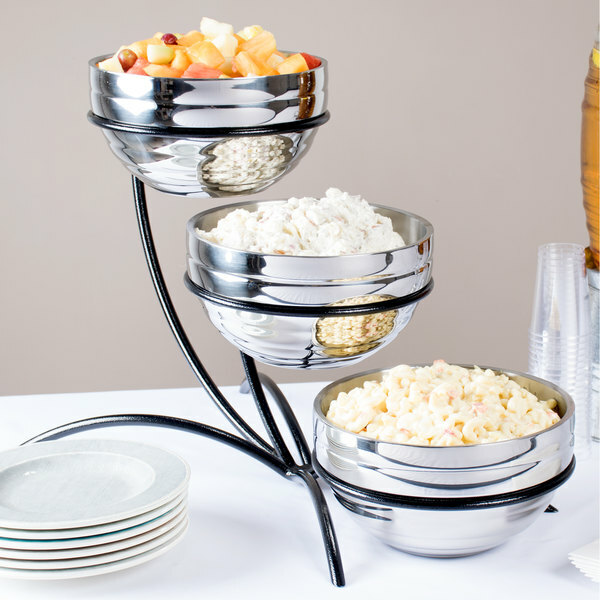 Create an unforgettable tabletop presentation with this Vollrath 46541 wire display stand! 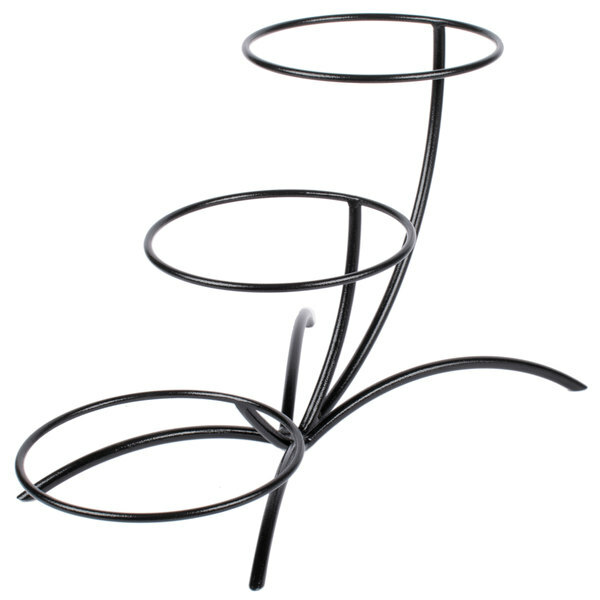 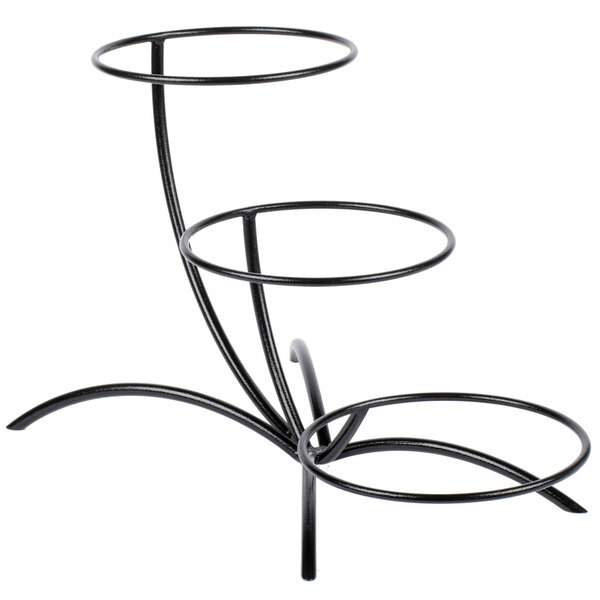 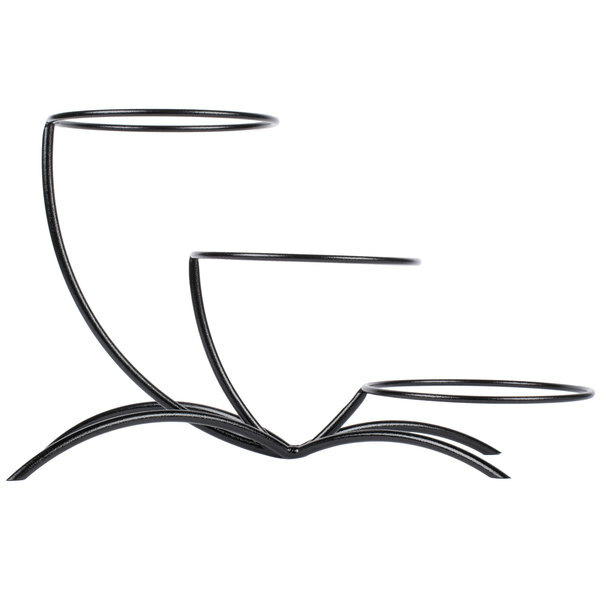 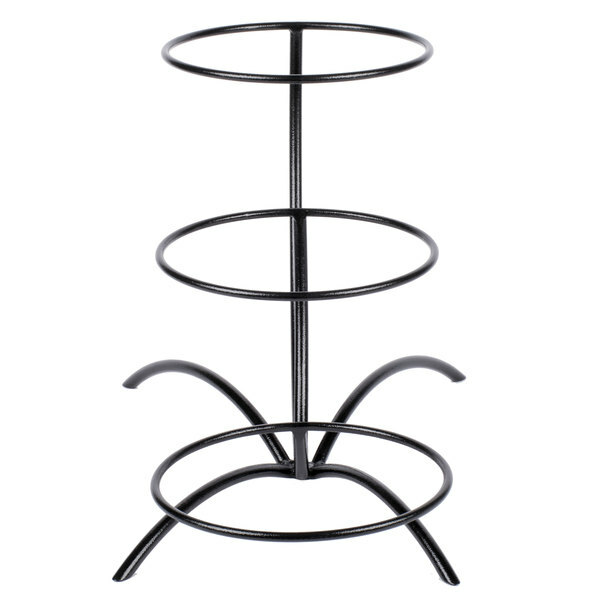 Made of a durable, heavy-duty wire construction with semi-gloss finish, this stand is sure to stand up to consistent, everyday use. 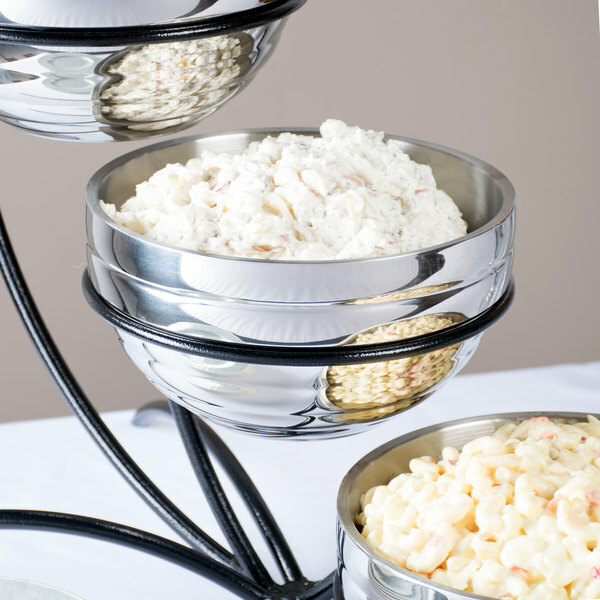 Use it to display all of your delectable menu items by placing them on platters (sold separately) in the staggered 9" rings. 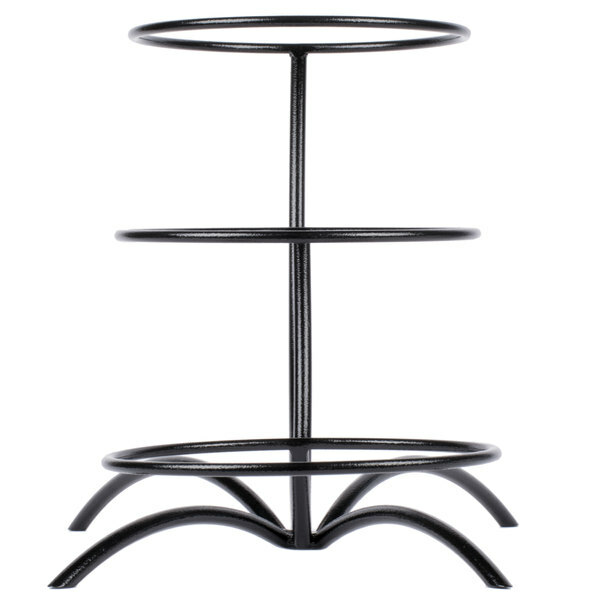 The laddered design of the stand allows you to line your buffet with hearty selections of popular dishes without taking up too much space. 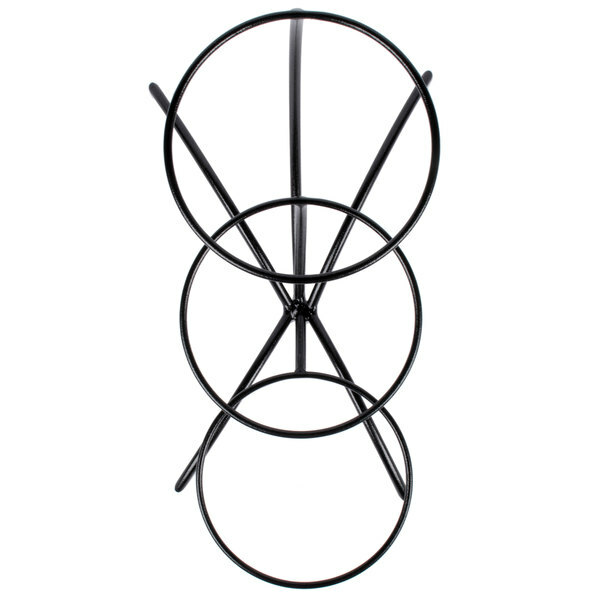 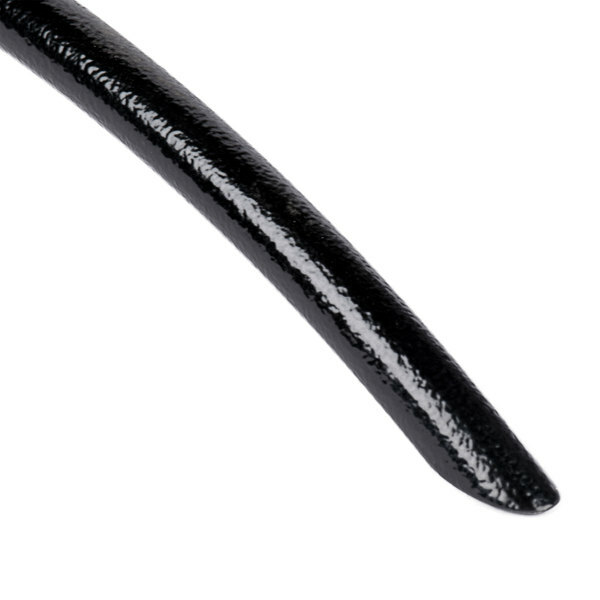 The rings sit at increasing heights of 3", 8 5/8", and 13 7/8".